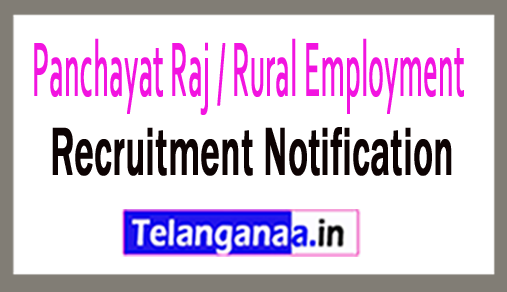 An existing advertisement designated as PRRE recruitment has been broadcast by Panchayat Raj and Rural Employment. Diligent and dynamic applicants can submit applications through online mode for 9355 posts of junior panchayat secretaries before the end date of 15th September 2018. Those people who want to apply for the opening of this job at PRRE Jobs and can read the full details in the concern of PRRE recruitment 2018 from this page which is provided by www.telanganaa.in team. Eligibility Details: Candidates must have a bachelor's degree from a well recognized university / institute as per the post. In order to be related to candidates applying for the said position and general category, the application fees of rupees must be paid. 800 / -. Interested SC, ST, BC (non-creamy layer) / pH and X-S class related. 400 / - in the form of application fee. The candidate should be between 18 and 39 years from 31-08-2018. Monthly remuneration: Salary pay band for selected candidates for junior panchayat secretary Rs. 15,000 / -. Participants will be hired against this recruitment on the basis of their performance in the recruitment examination, which will be organized by the selection committee of recruitment organization. Process of filling the PRRE application? The first and most important step is to open the official site, which is http://www.tspri.cgg.gov.in. Finally, take a hard copy of it and keep it safe for future use. Online registration of the application begins: 03-09-2018. Last date for online application is: 15-09-2018. Click PRRE Recruitment Notification here 1. Click PRRE Recruitment Notification here 2.